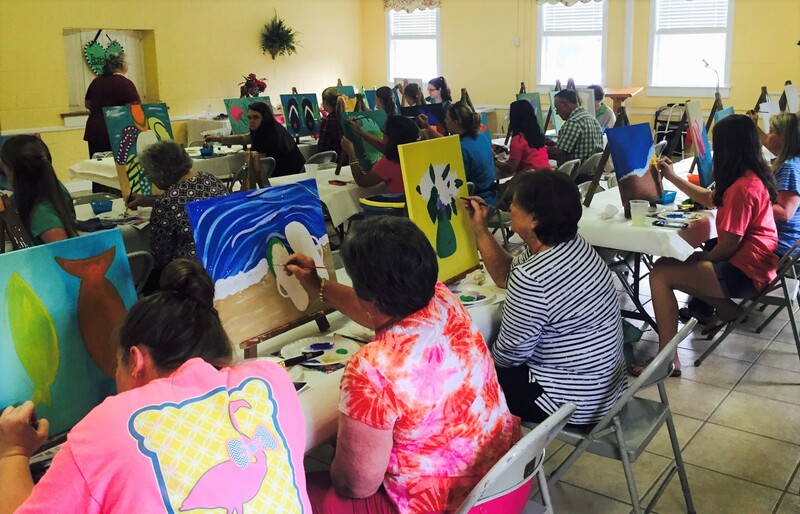 At First Baptist we agree with James that “faith, without works, is dead.” Therefore, our ministry groups offer wonderful opportunities to share in the work of Christ while at the same time sharing friendship and lots of fun. 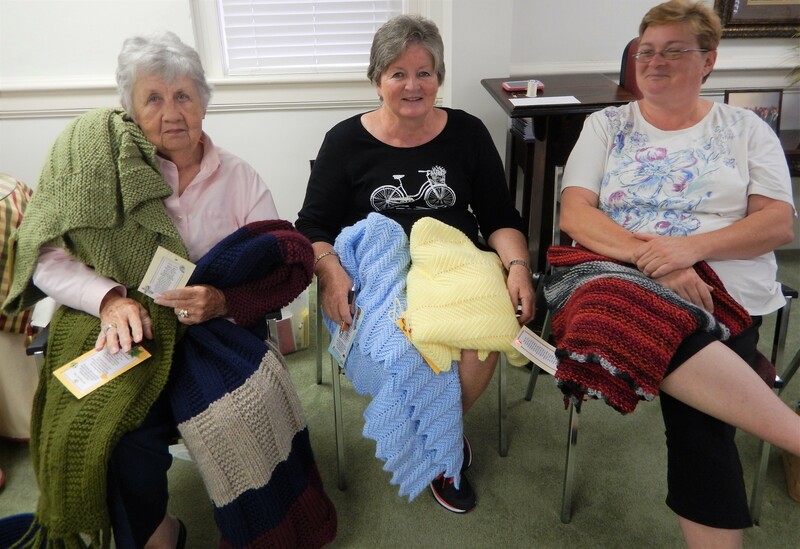 Meeting in the Swaim King Sunday School classroom from 9:30 am – 11:30 am every Monday, the women of this ministry have knitted, prayed over, blessed, and delivered Prayer Shawls to over 500 people in need of God’s care and love. 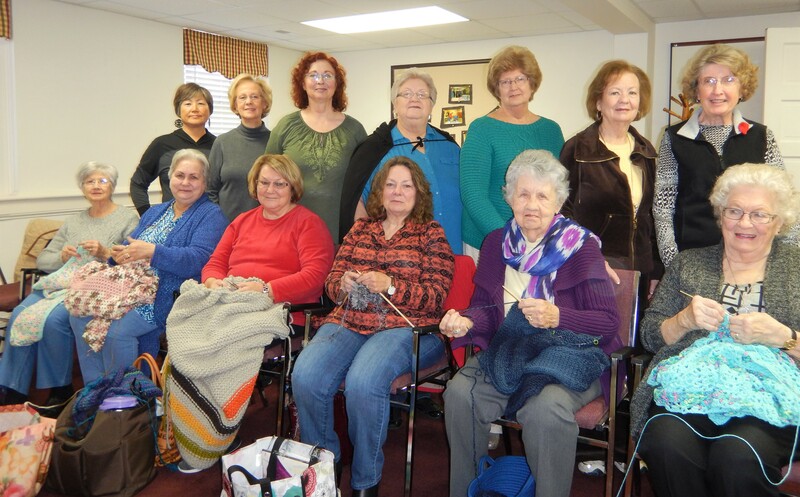 Women with varying abilities– from beginner to expert knitters– share Christian fellowship and a love for knitting as they provide hope to people all over our community and around the world. First Baptist Church assists individuals and families in our community who have come upon hard times and are in need of something to eat. 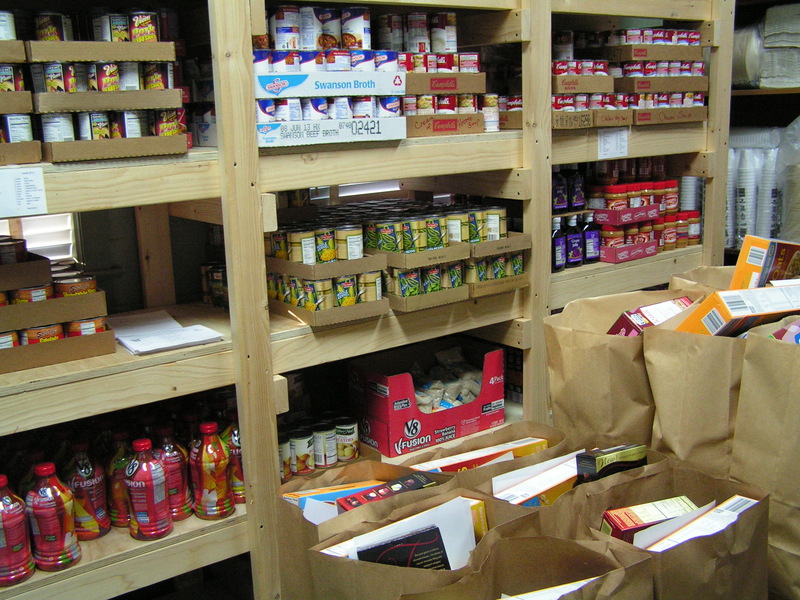 Our Food Pantry is open the second Saturday of each month from 9:00 AM to 11:00 AM. Although the quantity of food received depends on the number of persons in the household, every Food Pantry patron receives a nutritious and well-balanced bag of groceries. Helen Clark leads this ministry with many church volunteers. 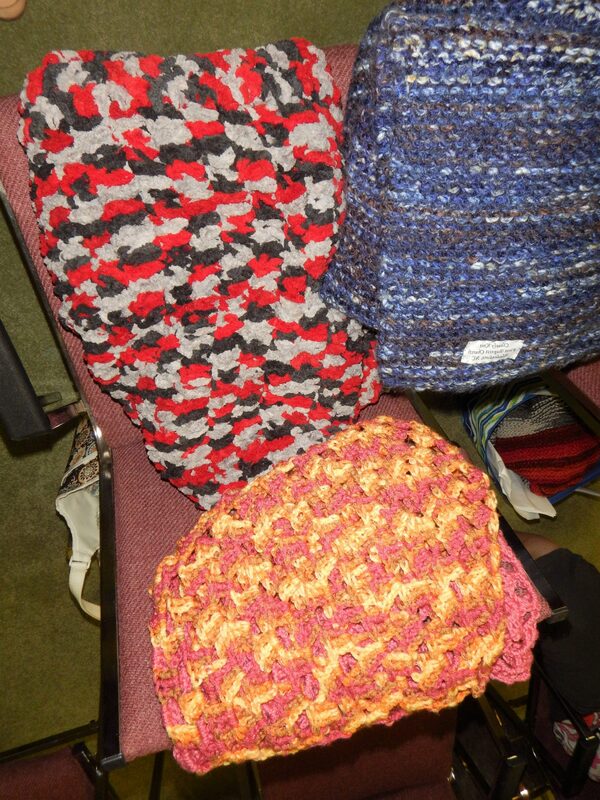 Named for the passage of scripture that says, “Here am I, Lord, send me,” Isaiah 6:8 is a group of talented young women in the church who use their creative abilities to make arts and crafts which they sell. For the past two years, they have hosted paint and praise parties. The proceeds from their work is used to buy school uniforms for youth in the county and to provide coats and shoes to kids at a local primary school. 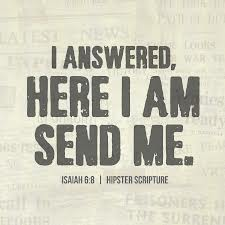 Isaiah 6:8 also assists families facing hardship either in our community or elsewhere.